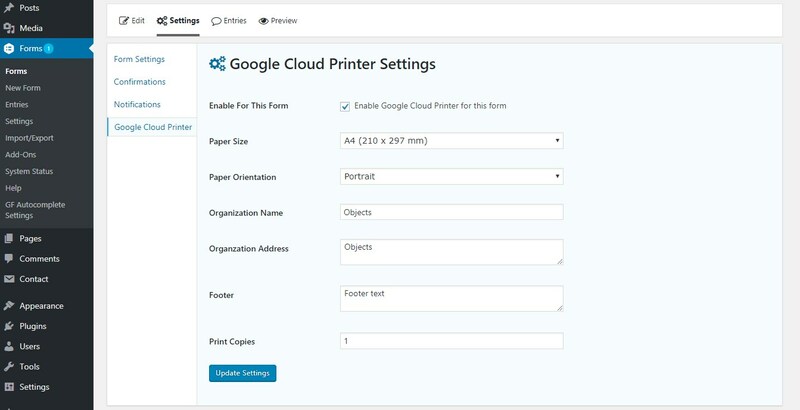 This Add-on will help you to connect Gravity Forms with Google Cloud and if you have any printer connected with Google Cloud then it will automatically make a printout. Once a user submits Gravity Form on your site that will generate PDF to Cloud Printer. 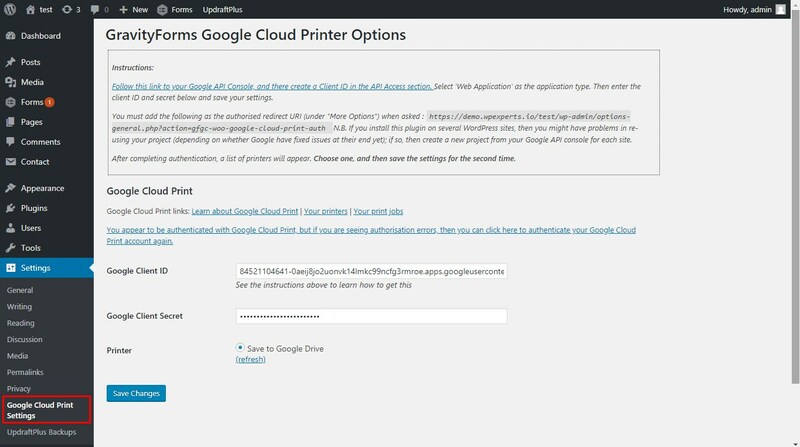 Enable/Disable: You can enable/disable each form to be submitted to google cloud printers.